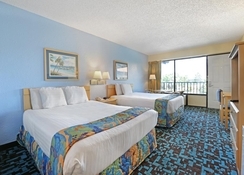 Baymont Inn & Suites Kissimmee hotel is a luxurious family-friendly hotel in Central Florida in close proximity to Orlando’s tourist attractions and world-renowned theme parks. 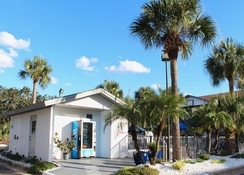 Located off the US Highway 192, this is conveniently located in downtown Kissimmee, Orlando and near Walt Disney World (around 11 km). 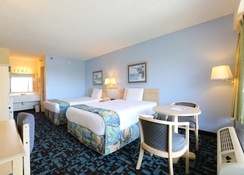 The hotel is very close to Lake Toho and Orange County Convention Center, as well as a host of other Orlando theme parks, such as Universal Studios, Aquatica and SeaWorld Orlando. 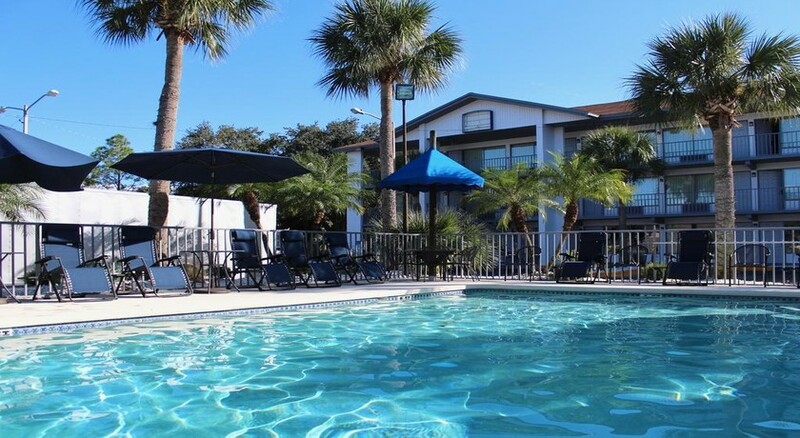 Well-furnished rooms with a kitchenette and all modern amenities, free continental breakfast, complimentary Wi-Fi, a business centre, a fitness centre and an outdoor pool are what make this hotel a top choice among travellers to Kissimmee looking for a comfortable stay. The hotel is an ideal accommodation option for families with kids in tow, as it allows children under 17 years to stay for free with an accompanying adult. Most of the theme parks of Orlando are a short drive from Baymont Inn & Suites Kissimmee, including Walt Disney World, Universal Studios and SeaWorld Orlando. Kissimmee downtown is also pretty interesting to potter around. Orange County Convention Centre and Lake Toho both are few minutes’ away from the hotel. the Orlando International Airport is 26 km from the hotel. 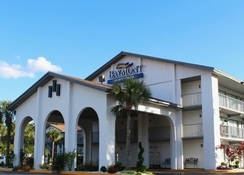 Baymont Inn & Suites Kissimmee has well-furnished rooms that come with rollaway beds, en-suite bathrooms, refrigerator, microwave, satellite TV, free Wi-Fi, work desk and tea/coffee maker. The hotel offers oversized and inter-connecting rooms for large families. 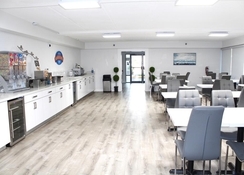 There is also a fully equipped kitchenette to take care of your dining needs. Facilities like early check-in and late check-out to help travellers keep their itineraries flexible. Baymont Inn & Suites Kissimmee offers a sumptuous complimentary breakfast buffet. There are also several good restaurants within easy reach. Tarantino’s Italian Restaurant, Red Lobster and Ponderosa Steakhouse are all a short walk away. My Island Jerk Spot & Sports Bar serves Jamaican cuisine, while the nearby Havana Cafe prepares Cuban delights. There are a number of leisure and sports activities on site as well outside Baymont Inn & Suites Kissimmee. The well-equipped fitness centre is a great spot for guests to work out. There is also an outdoor pool to take a relaxing dip. 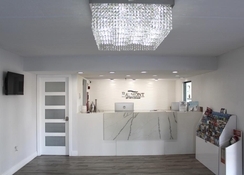 A business centre and meeting space makes this hotel a perfect stay option for business travellers. Theme parks like Walt Disney World, Universal Studios, SeaWorld Orlando and Aquatica are almost next door to the property. Guests can also take leisurely stroll to Lake Toho and Orange County Convention Center, or explore the historic downtown Kissimmee. ADA defined service animals are welcome at this hotel. No other pets are allowed.